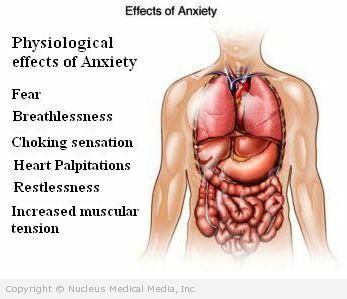 Panic disorder is a type of anxiety disorder characterized by recurrent and unpredictable bursts of terror known as panic attacks. A panic attack is accompanied by physical symptoms that may feel similar to a heart attack or other life-threatening condition. Intense anxiety often develops between episodes of panic. As panic attacks become more frequent, people begin avoiding situations that could trigger them. Panic attacks can lead to agoraphobia. This is a fear of being trapped in places or situations where escape could be difficult or impossible. The doctor will ask about your symptoms and medical history. A physical exam will also be done. Since some panic disorder symptoms are similar to heart, digestive, and/or thyroid problems, a physical exam and tests can rule out an underlying condition that you may have. Your doctor may need to try different antidepressants before finding the one that works best for you. It may also take several weeks before your symptoms start to improve. Note: Benzodiazepines can be habit-forming. Studies have found that people with panic disorder get the most benefit from a combination of treatment — therapy plus medicine. Some people find that avoiding caffeine may help reduce panic attacks. Caffeine is found in many products, like coffee, tea, chocolate, and soft drinks.